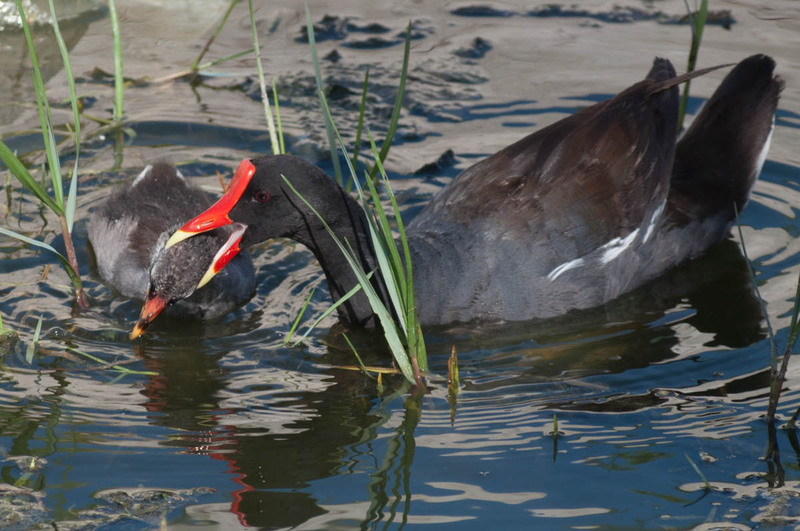 Birds are one of the only animal groups where caring for offspring are cared for. Besides birds and mammals, child care is the exception rather than the rule, with most young animals on their own from the time they hatch from their eggs. Birds usually put a great deal of energy into caring for their young, from building nests to incubating eggs to feeding their chicks, often even after they’ve grown left the nest. 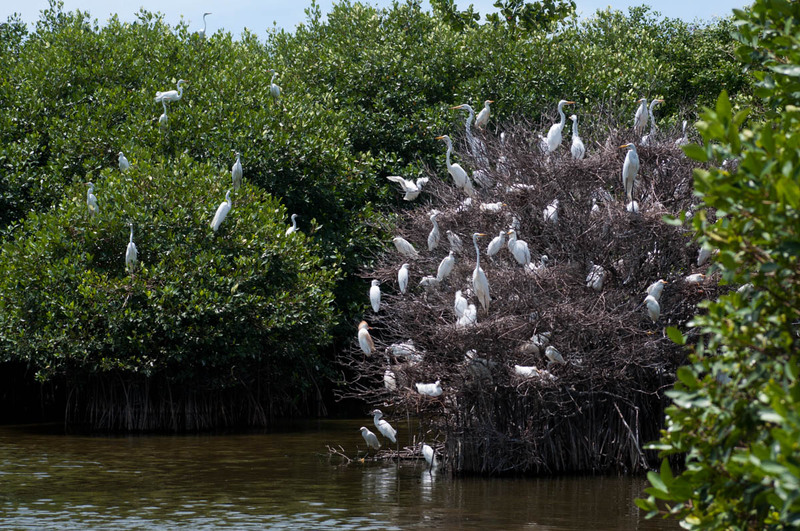 Capturing this in photographs requires knowledge of the life cycle of the birds around you: which ones nest locally, when they nest and where. 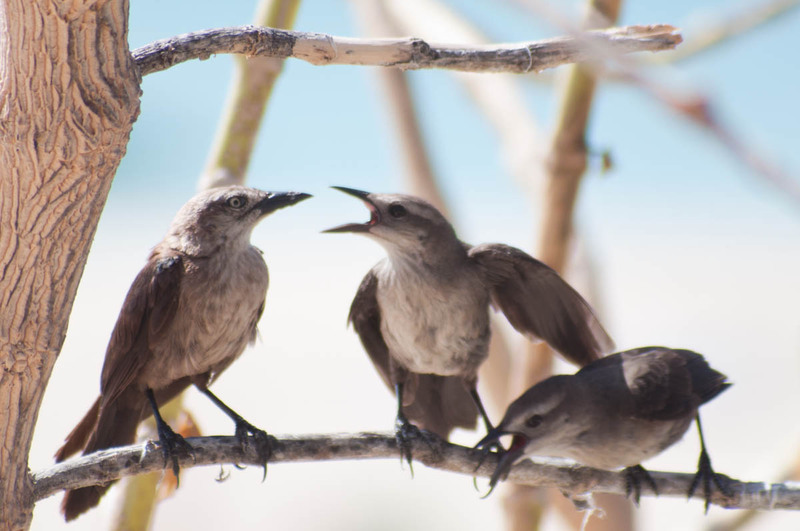 You will need to know how to distinguish adult birds from juveniles, too: are you seeing parenting behavior or just a bunch of birds interacting? Getting good photos of nesting and child care is more dependent on good knowledge of local birds than any specific photographic skills. To juvenile grackles seem to be asking their mom for food. The plumage of the juveniles is similar to the adult female, but the eye color is clearly different. 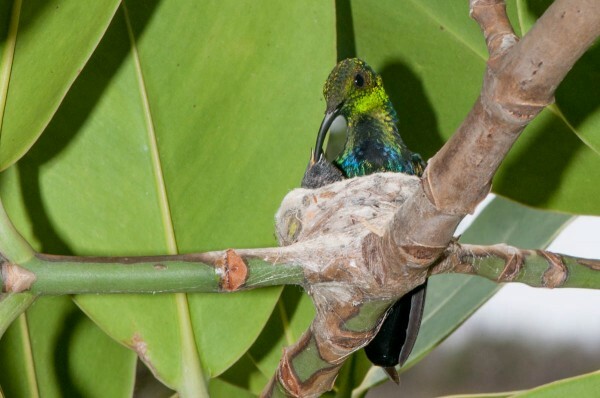 Female hummingbirds are excellent parents, feeding their chicks frequently. The males are not involved in child care. The key is finding a nest. A bird carrying nesting material is enough to evoke their parenting instincts. 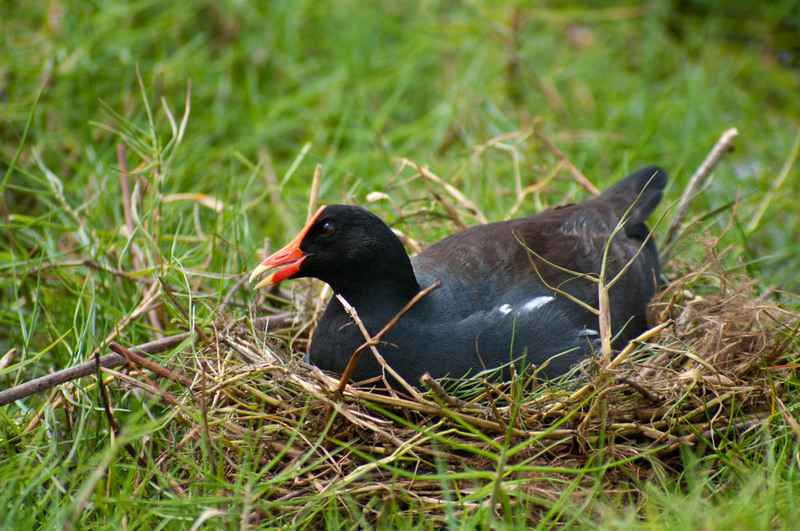 A bird incubating eggs makes for a great photo opportunity, but if a bird gets scared and leaves its nest, it’s time to back off. Colonial nesting is wonderful to capture in photos, and generally requires knowledge of local nesting sites. 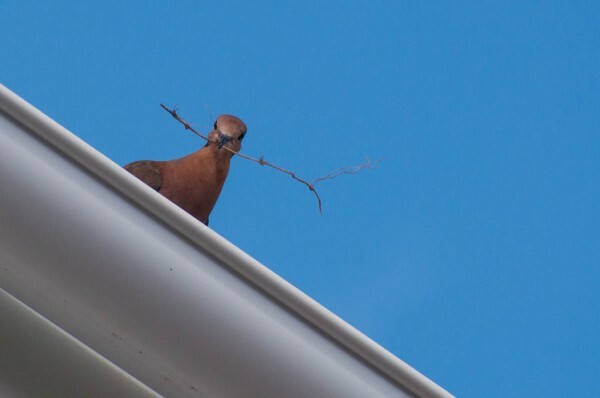 Do birds discipline their chicks? 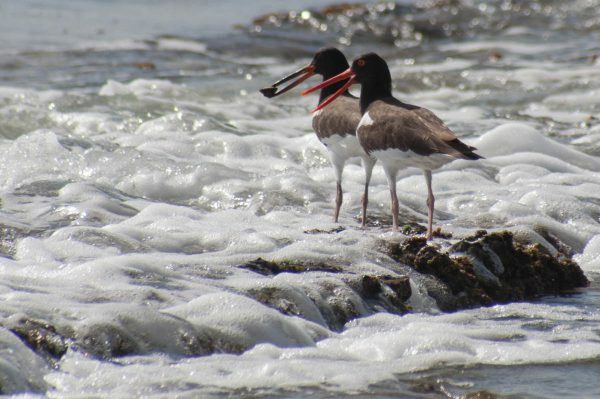 Juvenile American Oystercatchers are often seen with their parents. Perhaps it takes time to learn how to find and extract the shellfish they eat. 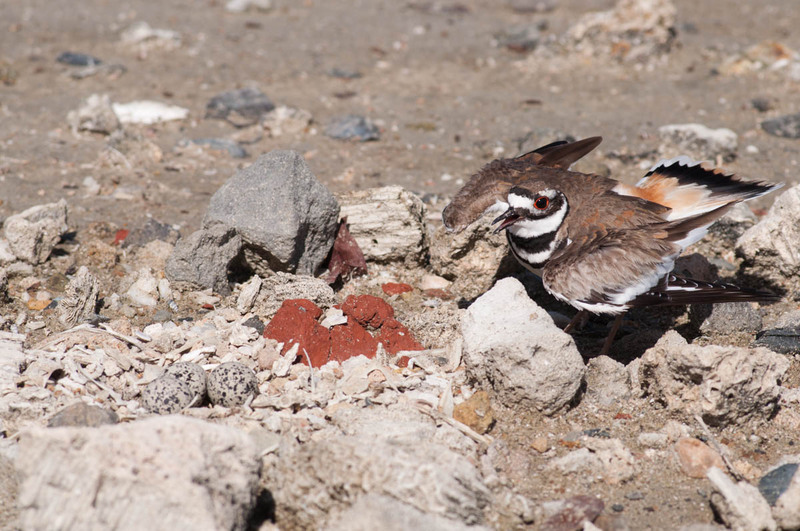 Killdeer are well-known for putting on elaborate distraction displays to draw potential predators away from their nest or chicks.